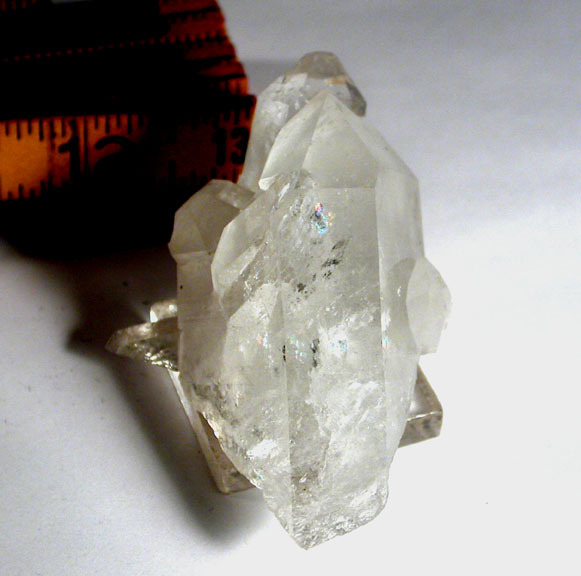 The tabular host crystal of this Arkansas quartz cluster, with an uncommon 7h face, responded to penetration with veils, crystal clear areas, and rainbows. The [also] tabular crystal penetrating its' tip has an extremely rare total of 8 faces and a fleabite. Growth craters, self-healing and rainbowed base, 1-3/4"x 2-3/4"x 1+" tall, much lovelier in person. Need to penetrate an issue? Have a hug? 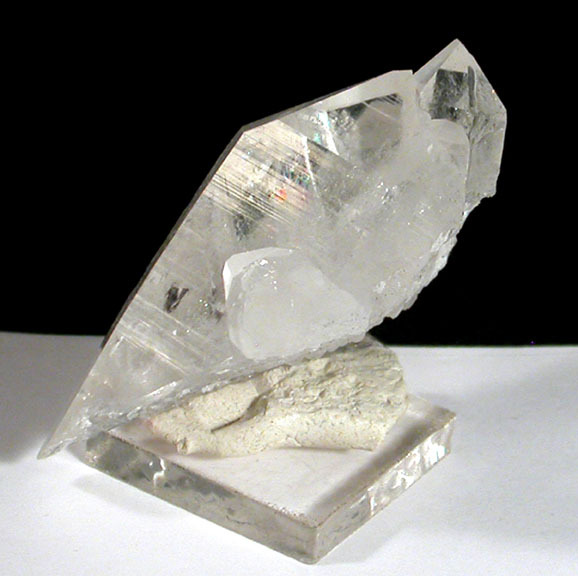 Tabular crystals are ascribed to communicate and mediate!